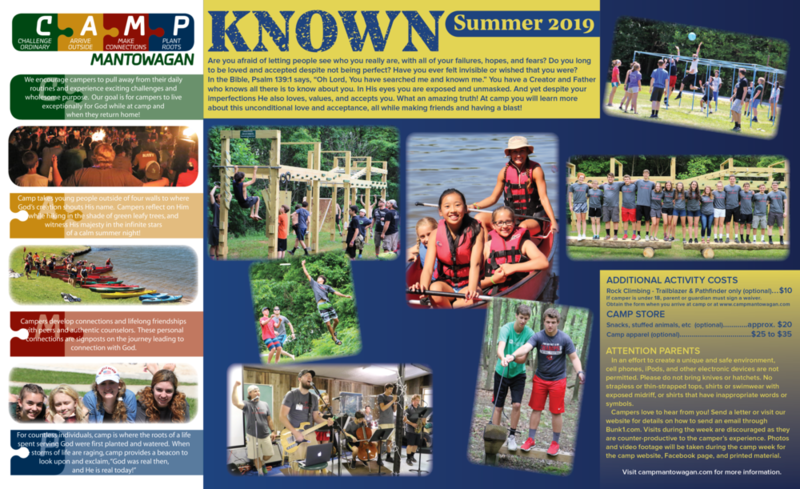 To download the Summer Camp registration form…click here. *If at all possible, please use an original registration form provided in the printed Summer Camp brochure. If you must download one from the website, when you print the form, please use the original PDF file format at 100% scale and print vertically on the paper. Rock Climbing is a $10 option (FOR TRAILBLAZER AND PATHFINDER CAMPERS ONLY). A parent must sign a waiver for climbing. To download a ROCK CLIMBING WAVER in PDF format....click here.